Personalize this broken heart acrylic name pendant. 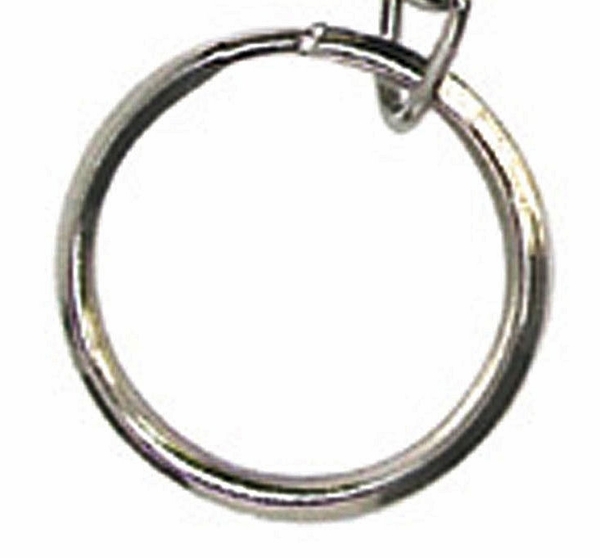 It is available as both a key chain or necklace. You may choose from selection of colors from the list below. 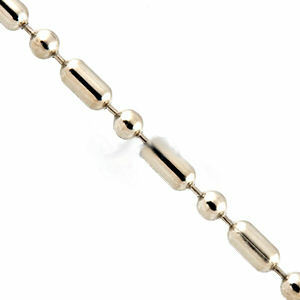 Pendant comes with a stainless steel chain; as a necklace. Show them that you love them with this split heart key chain. 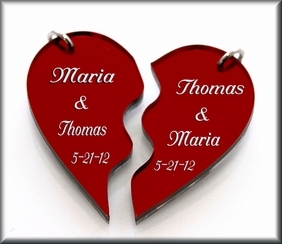 His & hers name keychain or necklace. Perfect for any occasion; birthday, Valentine's day, anniversary, etc. Also a wonderful gift for best friends. This lucite key chain can be inscribed with two names and a short message or date underneath. They will be surely be surprised by this lovely keepsake. LARGE BROKEN HEART W. 2.75" X H 2.5"
This durable Acrylic name keychain or necklace would make a perfect gift for your friend or yourself. Your purchase will arrive inside a lovely gift box, ready to be given as a gift. There are over a dozen font styles to personalize your engraved gift with.